Cherie Berry would not approve. For The Lift, you choose from one of two different capers, The Gambler and The Pickpocket. For your chosen adventure, you’ve chased a notorious criminal into a nearby elevator, but they’ve turned the tables on you! Having rigged the elevator to rise to the tenth floor before plummeting into the basement, you have only ten minutes to figure out how to escape before disaster strikes! The Lift is installed within a side room of Escape Artist Greenville, and is apparently mobile, allowing the business to take this experience on the road for shows and events. We were impressed by the craftsmanship and versatility of this room, and were excited to try out our first mini-escape adventure! For each trip into the elevator, our GM handed us a piece of evidence recovered from our respective criminal, hit the button to start our journey, and left us to puzzle our way out of the elevator. Taking place over only a few short minutes, The Lift’s two episodes perfectly capture the frantic final moments of an escape room for the entire experience! From the second you begin, the lights flicker for every minute spent, announcing the current floor and slowly heralding your demise. There’s nothing quite like that frantic last few minutes within a well designed room, and the adrenaline these adventures provide is perfectly thrilling. The games themselves are short, containing two to three puzzles and satisfyingly tacticle interactions, but the length of each puzzle is appropriate for a ten minute room and each one is intuitive and connects well to the theme. We found The Gambler to be a great fit for a warm up game or for new players, with a simple game flow and some neat surprises to be discovered. The Pickpocket will cater to those seeking a more difficult challenge, having almost bested our team, who escaped with mere seconds left on the clock! The sets are well implemented and excellently designed for versatility between games as well as a streamlined puzzling environment that will comfortably hold the maximum four players during the whole experience. Though simple, the sound and lighting design elevate the adventure into a pulse-pounding mission that is sure to keep even the most hardened escape veteran on their toes! 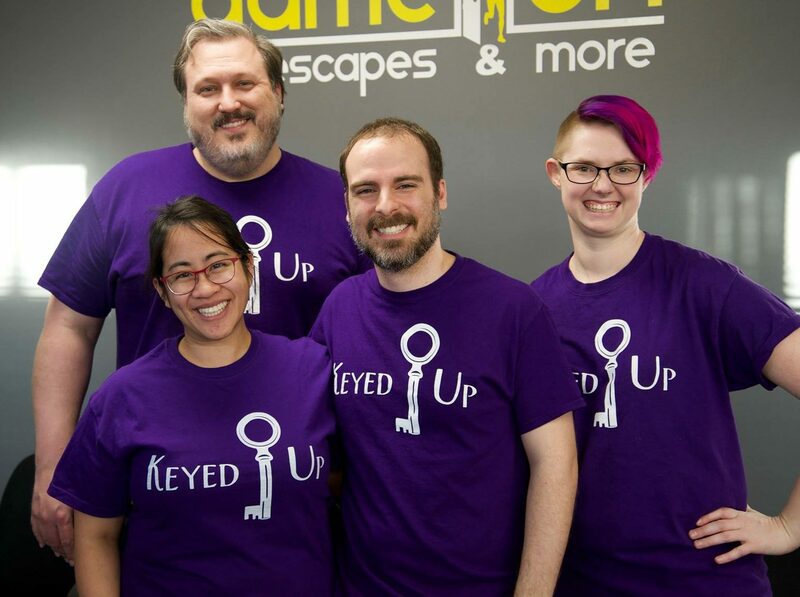 With such a short period for escape, the game definitely leaves you wanting more, which is certainly the point, but after finally experiencing a good elevator game, we’d love to see what could be done by expanding on this idea into a full 60 minutes! The Lift is a great add-on challenge to any of the rooms at Escape Artist Greenville, so if you’re looking for a warm up or extra dessert challenge, definitely try out The Gambler or The Pickpocket while you’re there! You can book your rise to glory, (or sudden drop,) here!